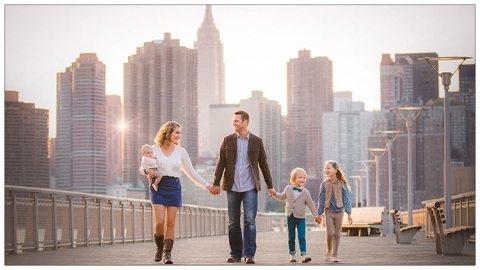 Guest Post: How to Stage Your Home for Photos | Michael & Sophie Kormos Photography | BLOG. We’ve all been there before; sure having your portrait taken sounds like a piece of cake, but besides stage fright, when it comes down to posing in front of a camera, there are so many technical issues that can create an off-kilter image – ultimately one that you’re disappointed and unhappy with. And if you’ve ever tried to create your own still-life for a social media account, by now, you probably know how much harder that can be to get right. Photographing inanimate objects can be quite challenging, to say the least. So when it comes down to photographing and staging your home, it’s entirely beneficial to know how to get the look and image just right – to your benefit. 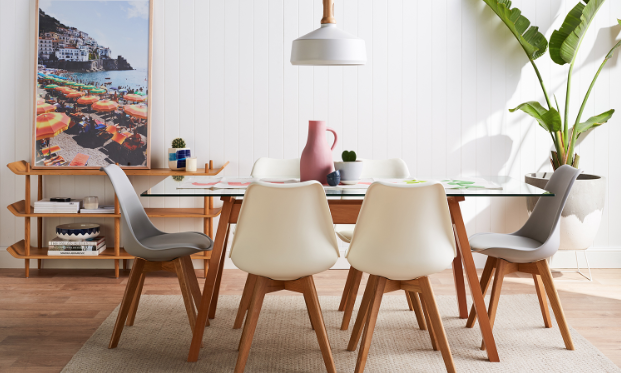 Whether you’re looking to sell your home or just want some sentimental images to celebrate the hard work that went into decorating it, there’s plenty of lessons and clever hacks to be learned. To illustrate the best approach to staging your home for images and potential buyers alike, we turned to Décor Aid interior decorators to provide some fundamental guidance to make everything come together with ease, so you can make your home look as good as possible without having to go through a complete image overhaul. Whether you live in a traditional home or a high rise condo, the exterior of your home can make or break your visitor’s first impression within minutes. Start with a quick survey of what you can edit out, and what you can update for a better initial appearance. It could something as simple as a fresh coat of paint on your front door, a row of new blooms lining your walkway, or even a new welcome mat. That said, it’s also essential that your entryway, like the rest of your home, should come off as immaculately clean as possible. Sure, you’re a messy person with a full life. But in reality, there is no one in the world other than a family member or close friend who’ll be able to forgive visual clutter. Go around your home and edit and organize every single surface, shelve, cabinet, and closet. Trust us, it’ll make a world of difference, plus it will also help you keep personal items out of site. A common decorating mistake interior designers often have to come in and fix is the inclination for clients to house all furnishings flush against the wall. But, did you know that this is one sure-fire way to make a room feel much smaller than it actually is? Instead, place furnishings closer together towards the middle of a room to make it appear as large as possible, and also more comforting and inviting to boot. Just because you’ve always loved seeing that console in your living room doesn’t mean that it’ll make for great staging opportunities. Quite the contrary indeed as home staging is all about that initial welcoming feel and the possibilities that lie ahead. Rethink furniture placement for more unexpected takes on interior design that’ll leave visitors ready to explore the many design directions they can take in the space. Reconsider lighting options and schemes to create a warm and welcoming atmosphere that’ll open their eyes to investment-worthy values found inside. Think ultra-bright and warm, and consider replacing your drapes for sheer alternatives to let in as much light as possible. Maybe that fiesta orange you picked up on travels to South America seemed like a stylish idea for your walls at home, but bold colors are sure to distract and are a harder sell in just about any home. Tone it down with neutrals other than white to again, create an airy, warm, and comforting feel as all-white will come off as too spartan and cold. 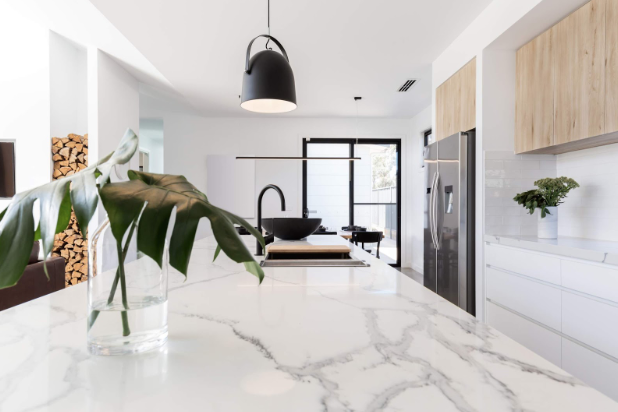 Ultimately, your goal should be to give visitors the feel of ultimate luxury, a home which they could happily see themselves residing in for years to come. Channel the luxurious aura of a five-star resort and think about luxe updates you can easily manage on your own that won’t break the bank. In the kitchen and bathroom, our interior designers were quick to suggest that new hardware including cabinet and drawer pulls can be easily sourced and installed in just minutes without costing a small fortune. Bring rooms in your home to life with bold and expressive artworks thoughtfully installed to create the impression of a well-judged home that again, boasts endless design possibilities that they’re sure to find inspiring. Don’t go overboard and keep art pieces to a limit of three per room, but do make a memorable impression by placing your art pieces and sculptures in unexpected areas. Décor Aid’s award-winning designers provide a high end interior design service at affordable rates. They offer the best interior designers in NYC and exclusive furniture discounts to accommodate your style, budget, and scope. Allow them to make your interior design dreams into a. reality. Sign up at Décor Aid, and your project coordinator will be in touch to arrange a free in-home consultation!